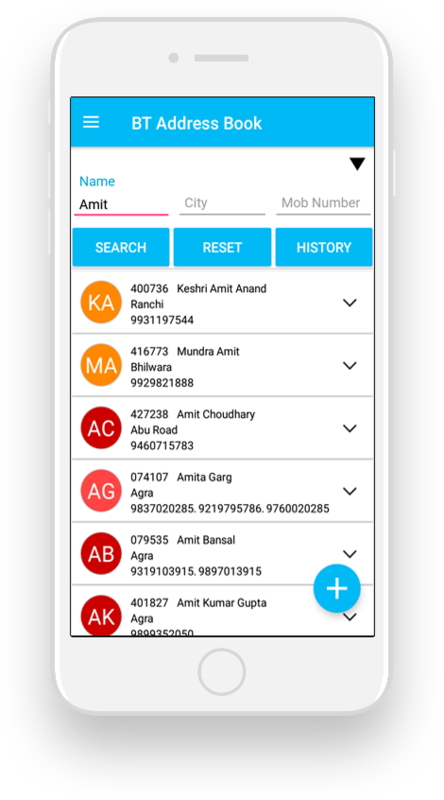 BT Address Book is a tool to manage contacts and group them in various categories. It is an ideal application for the team working on Election Purposes. Single database can be accessed by the whole team and information can be shared among all. Minutes of Communication is a unique feature, where you can make "Minutes Of Communication" soon after the talk end. Meeting schedules, next reminder, data update, connection with your phone book, sending email and message, birthday message from Phone No or web, etc are the unique features of the Application.